beloved Lord of my Heart. to your timeless and limitless Being. The final stage of awakening is a natural opening which is already there within you. You will be touched by Divine Grace, this then completes the journey of the soul-orb by having fully transformed the conditioned personal mind-self. When this awakening really occurs the heart chakra compassionately radiates the consciousness of unconditional love and compassion, the higher pure awareness self moves down from the crown to reside in the third eye; the inner Guru appears with its golden energy. Healing and Wisdom now combine being expressed as the Unconditional Love of the Source of creation. The inner meets the outer directly, there is no past, no future, only present! This is the stage of mysticism, of becoming. Life becomes the experience of bliss, wisdom and oneness with all existence. The individual no longer just exists but flowers into its Divinity, moving beyond religious, race, national prejudice, written teachings or dogma. It is at this stage that the ‘I-AM’ True-Self-Being emerges into the present moment free from illusion. To go beyond the mantras! 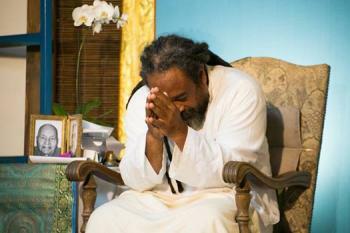 This practice is a transformational experience to achieve ‘Freedom from the Conditioned Self’. For those who have obtained this awakened state of freedom from the conditioned self, a deepening of the enlightened state will occur until the final transformation of True-self with Sat Guru awakening manifests. Part One of the Practice: Mantras 1-5 The journey begins with Ong Namo inviting the inner Guru, the Divine Mind into the heart through the surrender of the ego (limited conditioned personal mind). In mantras 2-5 a going home experience happens by moving down from the head to the heart chakra. Part Two of the Practice: Mantras 6-9 The journey in part 2 starts with Sita Ram inviting God, the Divine into the heart. The heart has now been prepared for the dissolving of soul illusions through embracing Shiva in mantra 7. 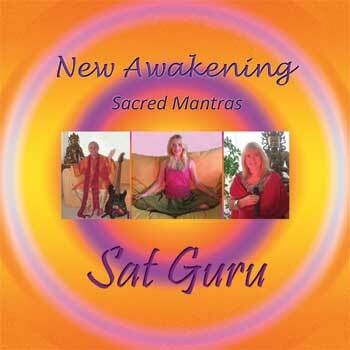 The final step is to awaken bliss of the inner Sat Guru ~ Mantras 8-9. To create an awakening experience the sacred mantras have been carefully selected from direct feedback of many Satsang circles. The mantras only contain the original root Sanskrit words; all additional wording has been removed.